Fresno (AAA Pacific Coast League): Behind three Seth Brown longballs, the Las Vegas Aviators (10-2) defeated the Fresno Grizzlies (6-5) 7-6 Monday night. Brown knotted the score twice, in both the first and third innings, belting a three-run and two-run bomb, respectively. His third jack (solo) in the fifth put Las Vegas up for good. Jorge Mateo added an insurance RBI single for the Aviators in the sixth. ON THAT FRES-NOTE: Aviators first baseman Seth Brown homered three times Monday night against the Grizzlies. The last visiting player to go deep three times in a game was Salt Lake Bees Kole Calhoun on July 23rd, 2013 at Smith’s Ballpark. The last Grizzlies player to smack three bombs in a game was Preston Tucker on June 30, 2016 also at Smith’s Ballpark. He finished the contest 5-for-6 with eight RBI. Harrisburg had chances in the first three innings to score but didn’t, leave five runners stranded. With one out in the fourth, Chuck Taylor drilled a solo home run to right field cutting the lead in half and opening the power flood gates for the Senators. Wil Crowe started and pitched the first five innings allowing two runs on six hits. He was helped by tossing two double plays. Mario Sanchez relieved him to begin the sixth inning and walked the first batter he faced but then preceded to retire the final twelve batters he faced, seven via the strikeout. Adrian Sanchez had three hits, none of them home runs, but he did have a double. Tres Barrera, Austin Davidson and Wil Crowe had the non-home run hits. The four home runs are the most by the Senators in a game this season. Rhett Wiseman has two two-home run games, joining Tres Barrera who also has a two-homer game. The defense turned two double plays which gives them eleven in twelve games. Harrisburg has homered in 10 of their 12 games this season. The Senators continue their three-game series Tuesday night in Altoona. Harrisburg sends RH Erick Fedde to the mound against RH Dario Agrazal for Altoona. 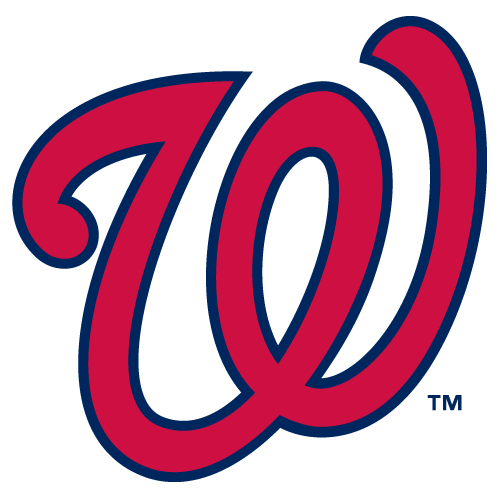 Potomac (High-A Carolina League): The Potomac Nationals (6-6) received an immediate impact from their latest addition to the lineup and clawed back to the .500 mark with their second consecutive road win, defeating the Lynchburg Hillcats (7-5) by a score of 11-5 on Monday night. RF Gage Canning , called up from Class-A Hagerstown earlier in the day, hit a solo home run in his second P-Nats plate appearance. The 10th ranked prospect in the Nationals organization according to MLB Pipleline, Canning went 1-for-5 in his debut. Potomac starter RHP Luis Reyes struggled early, allowing the first three Hillcats batters to reach base and eventually letting them all score. The three-run first was capped by Trenton Brooks‘ RBI single to put the P-Nats in an early hole. 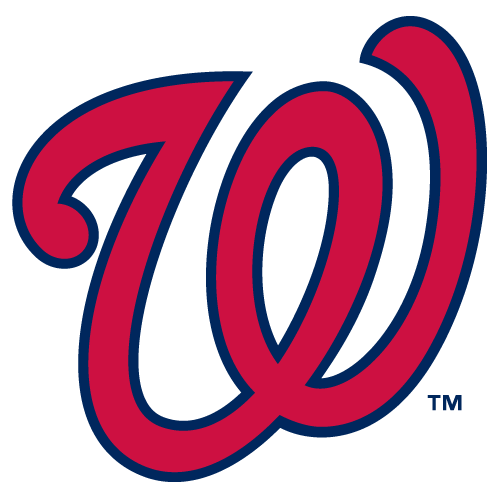 The Nationals answered back immediately, pushing across four runs on only two hits in the second to take a 4-3 lead. With runners at the corners and one out, SS David Masters hit a comebacker to Lynchburg starter Adam Scott (L, 1-1) that could have been an inning-ending double play. Instead, Scott threw wildly to second to bring home C Jakson Reetz for Potomac’s first run. 3B Anderson Franco followed with a single to draw the P-Nats to within a run, and DH Cole Freeman tied it up with an infield single. In his haste to try and throw Freeman out, Scott committed his second throwing error of the inning to score Franco from second and put the P-Nats ahead. Canning’s home run added some insurance to start the fourth, and LF Telmito Agustin later brought home a pair with a double down the left field line to make the score 7-3 Nationals. Reyes allowed a two-run single to Lynchburg’s Tyler Frees in the fourth, and with the tying run in scoring position LHP Grant Borne (W, 1-0) struck out Oscar Gonzalez to end the threat. 1B Aldrem Corredor hit a two-run single in the sixth inning to stretch the lead out further, and Reetz laced a single on the next pitch to plate another run. Staked to a 10-5 lead, Borne went 3.1 innings of scoreless relief to earn his first win. Masters hit a solo home run in the ninth, his third in the last two days, to cap the scoring for the Nationals, and RHP Steven Fuentes fanned four in retiring the final six batters to close it out. Hagerstown (Low-A Carolina League): The Hagerstown Suns earned double-digit runs and hits for the second consecutive night in an 11-1 win over the Lexington Legends at Municipal Stadium Monday evening. In the second, the Hagerstown Suns (6-6) put their foot to the floor with four runs on four hits. Justin Connell worked a walk, as did Cody Wilson, to get things started. Kyle Marinconz delivered a two-run double to give the Hub City a 3-0 advantage. On back-to-back wild pitches, Marinconz scored for run number four. Hits kept coming as Israel Pinedaand Jacob Rhinesmith collected base hits. The barrage ended with an RBI single by Gilbert Lara — his team-leading 13th RBI of the year. Only needing to see one pitch in the first inning, Cody Wilson hit a ball the wind took past right center field for a home run. Following a Jamori Blash double in the third frame, Jose Sanchez brought in his teammate with a single. Sanchez would be forced to leave the game in the third due to a leg injury he suffered sliding into second base. A pair of runs crossed for the home team in the sixth and seventh innings. In the sixth, Wilson scored on a fielding error and Pineda scored on a fielder’s choice. Rhinesmith brought in both seventh inning runs with a single. Connell earned his first RBI in his first career Suns game with a sac fly in the eighth. Joan Adon (W, 1-1) got his first win of the year with five innings of one-run ball and four strikeouts. The bullpen hunkered down to finish out the game. Ryan Tapani twirled three scoreless and Carson Teel finished the game working a scoreless ninth. Lexington (6-5) only managed one run on 10 hits. Their sole run came in the fourth from Chase Vallot ‘s third homer of the season. Charlie Neuweiler (L, 0-1) took the loss with five earned runs in two frames.